Refresh Collective has long been hanging out at the intersection of cool, creativity, and community, but now it has an actual brick-and-mortar storefront to call all its own. 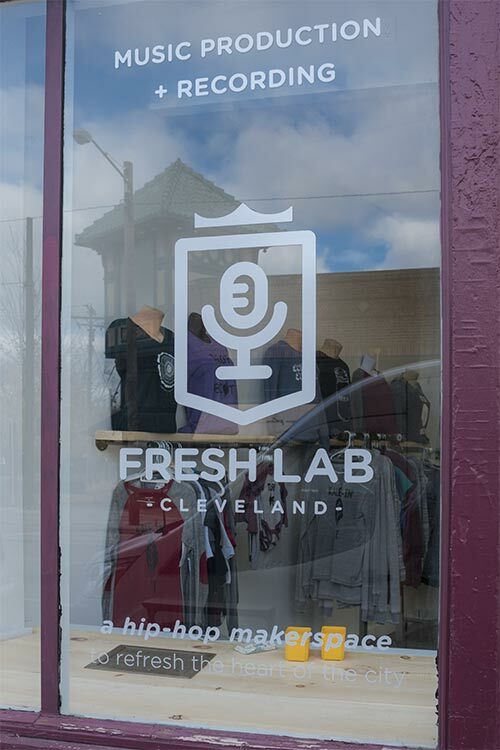 Celebrating its grand opening this Friday, November 16, Fresh Lab Cleveland will become the city’s first “hip-hop makerspace”—selling Refresh Collective’s clothing line and offering both an on-site screen printing shop and music production studio. The new shop is located at 5409 Detroit Ave., not far from Harrill’s wife’s jewelry shop, Oceanne. It’s a big change for Harrill, whose concept for Refresh Collective was wholly based on his neighborhood experience as a Glenville resident. 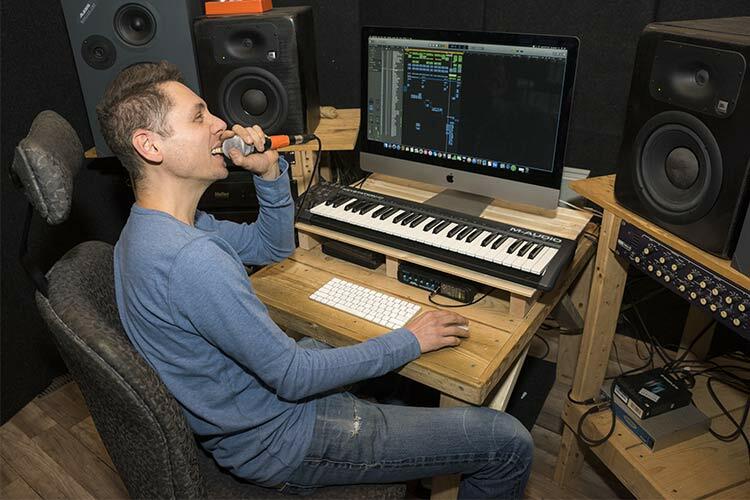 The idea initially started in 2010 as a free summer hip-hop camp for youth called Fresh Camp, calling on Harrill’s previous experience as a DJ and hip-hop artist. The camps were so successful that they eventually grew to include the East Cleveland and Buckeye neighborhoods as well. Five years ago, Harrill expanded his efforts to introduce Fresh Force—a creative workforce development program that helps youth ages 16 to 21 develop mastery-level skills in the areas of music production, recording arts, performance, design, screen printing, sales and communications. According to Harrill, the idea sparked when he bought a DIY silk-screen kit on a whim. 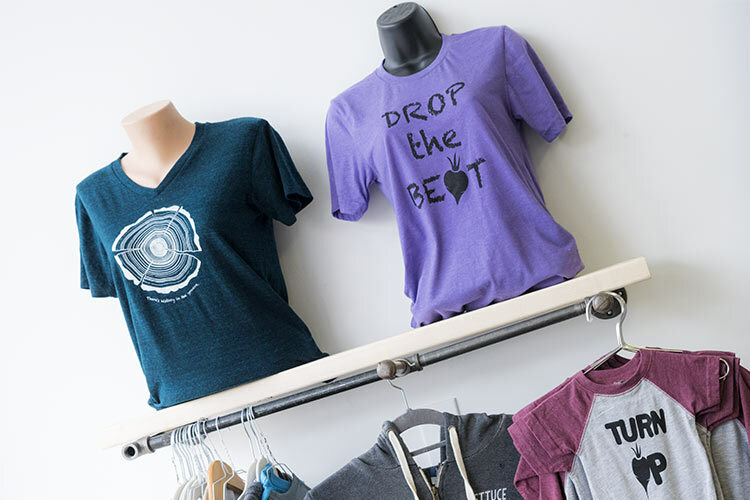 At first, they produced the clothing out of Harrill’s home (which also housed Refresh Collective’s recording studio), but about two years ago, Harrill moved the headquarters into a warehouse space at the ArtCraft Building. A photo from the "Fresh Teachers" displayHarrill and others will perform at Friday’s grand opening event, and visitors can also check out the “Fresh Teachers” display that shows MC2 Stem High School teachers modeling Refresh Collective’s Fall/Winter line and shares their stories. “Normally our students are the models, so we wanted to switch it up and honor teachers,” explains Harrill. Moving forward, Harrill wants to start offering programming for ages 21 and up and empowering professional hip-hop artists, along with continuing the signature programs that have made Refresh Collective such a hit (such as Fresh Camp, Fresh Force, and Freshtoberfest). 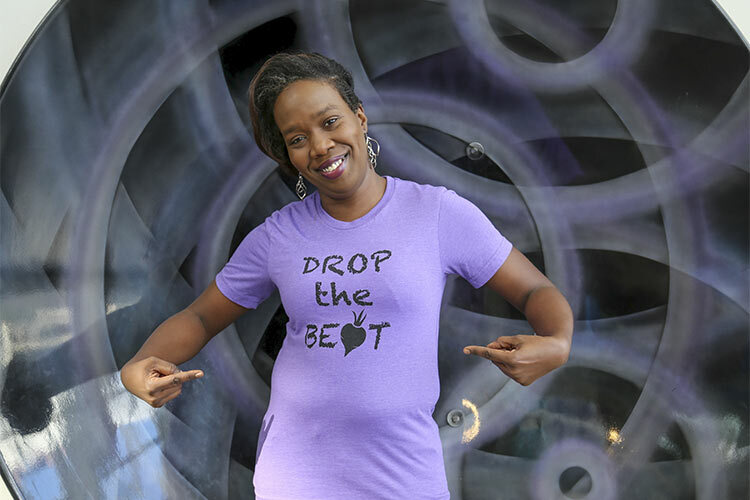 It’s all part of Harrill’s mission to “refresh the heart of the city”—one T-shirt, song, and dope beat at a time.